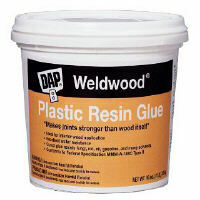 A powdered, urea formaldehyde wood glue activated by mixing with water. Forms a bond stronger than the wood itself. Mets Fed. Spec. A-A-3052. Low VOC.